This is the number of children and youth around the world who are not currently able to attend school. This is the number of people who would no longer live in poverty if every child received quality education. Quality education is the heart of society because without education, so many other social and cultural systems would not exist. Quality education can reduce poverty, increase gender equality, improve maternal health outcomes, improve the environment and even reduce the likelihood of war and conflict. Accessible, quality education is essential for building stability and fostering equity. Education is truly the foundation of society. For more than 50 years, beginning with President John F. Kennedy, the U.S. government has acted as a global leader to increase opportunities for children and youth around the world to receive quality education. More children are in school today than in the past. Despite the progress that has been made, today many children and youth still do not have the opportunity to learn. Youth with disabilities, girls and youth who live in countries affected by crisis, conflict and emergencies are disproportionately missing from school around the world. o 90% of youth with disabilities in developing countries are not in school. 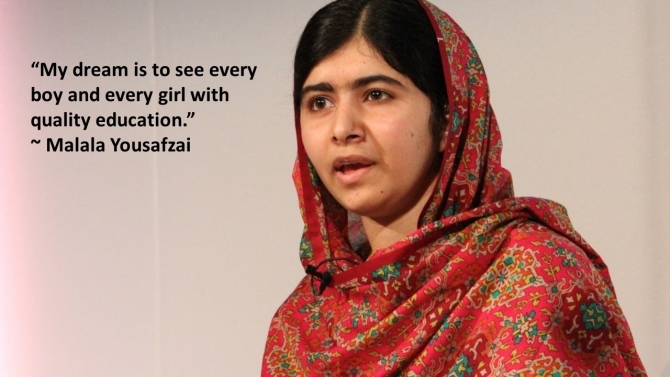 o 50% of out-of-school youth are girls. o 1 in 4 children in conflict- affected countries are not in school. These numbers, while startling, do not alone paint the true picture of loss. Children are not numbers, they are human beings, with rights and potential community impact throughout their lives. As you read this, there are youth, who are missing valuable classroom time and missing the opportunity to build skills that are needed to be successful in the workforce and in life. Children are not in school because they live in poverty, because of war, and because of their gender, abilities or ethnic background. When children are not in school, they are being robbed of their human right to stable, prosperous and secure futures, and the world loses vital opportunities to break the cycle of poverty and crisis. How Can We Protect the Human Right to Education? · PLEASE call on your Members of Congress to promote continued US investment in education for the world’s most marginalized children. · Your Members of Congress can ensure that the US continues to lead in these efforts by cosponsoring two resolutions active in Congress today, H.Res. 466 and S.Res. 286, which support the Global Partnership for Education. · The Financing Conference for the Global Partnership for Education in Dakar, Senegal is coming up on February 2, 2018. We are urging the U.S government and all world leaders to participate and support the 2018-2020 strategy for the Global Partnership for Education (GPE). The leadership of the U.S. government has been and remains critical to improving global access to quality basic education. The Global Partnership for Education (GPE) is a unique partnership that brings together governments, schools, community groups, and the private sector and is dedicated to ensuring that all children, regardless of gender-identity, socio-economic background, ability or nationality have access to quality education. GPE supports and builds the capacity of public education systems in developing and lower-middle income countries, supporting equitable opportunity and learning for all. GPE has partnered with many partner countries, such as Afghanistan, Bangladesh and Ethiopia. You can view the complete list of GPE partner countries here. Many partner countries have seen marked improvement in youth enrollment in school since working with GPE. Notably, since Ethiopia partnered with GPE in 2004, the number of youth enrolled in school increased from 10 million to 25 million! Additionally, 74% of girls in GPE partner countries completed primary school in 2015, compared to 57% in 2002. Overall, research shows that countries that partnered with GPE showed a 65% improvement in learning outcomes between 2000 and 2015. Quality education is essential to a healthy and equitable society. To build a more peaceful, economically stable and equitable world for all, we must invest in quality education. With the GPE Financing Conference fast approaching in February 2018, now is the time for US leadership to take action to ensure a successful GPE replenishment and continue to prioritize quality education for all. 2. Contacting your Senators and Representative. 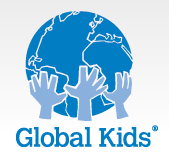 On behalf of children and youth around the world, thank you for your global education advocacy!